Jennifer Hudson's New Charitable Effort, Liv's Latest for Givenchy, and More! Liv's Lyrical Debut, Emily Blunt for YSL and More! 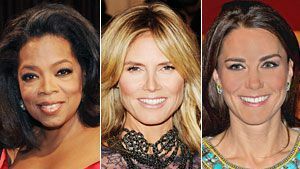 Oprah's Book Club is Back, Heidi Klum's Hottest Editorials, and More! 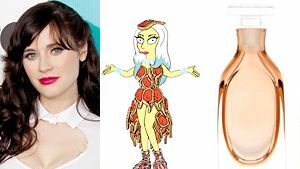 Zooey Deschanel's Dream Hair, Lady Gaga's Simpsons Style, and More! 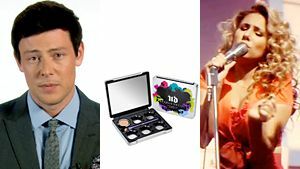 Glee’s Anti-Bullying PSAs, Urban Decay’s DIY Palette, and More! Sofia Vergara's Family Guy Cameo, Kate Moss for Rag & Bone, and More! Vanessa Williams Launches Skincare, Lauren Conrad's Accessories Line and More! Karl's Chanel Show Invite, Ashley's New DKNY Ads, and More! 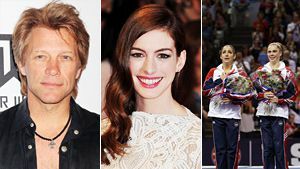 Jon Bon Jovi for Avon, Anne Hathaway's Dark Knight Clip, and More! Fergie's Outspoken Record Sales, Rachel Zoe's Baby Shower and More!